Just spotted a theme, after perusing the recent red bicycle photos from the bloggers of the Cycle Chic Republic. 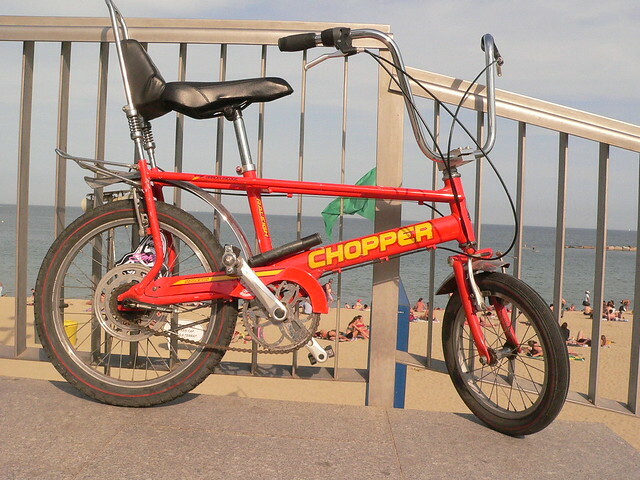 The red Chopper from Raleigh, like this one spotted in Barcelona last summer. Raleigh produced them in the 1970's and then stopped for whatever reason. Back then there was a gear shift on the crossbar which was potentially unlucky for male cyclists. 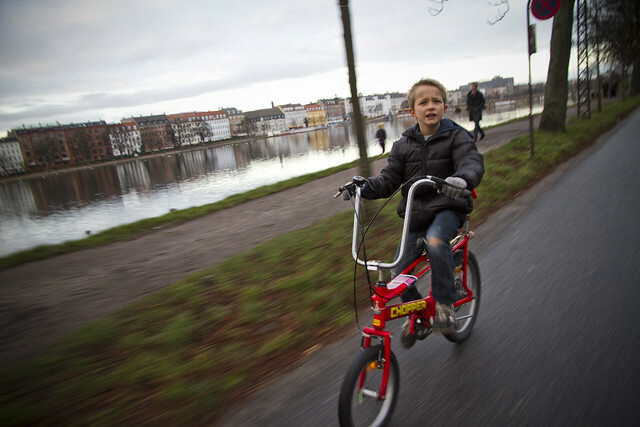 When they relaunched the design in the early 2000s, the gear shift was moved up to the handlebar, but the bicycle was largely the same. Most bikes when I was a kid looked like this. Banana seat, back rest. Cool. 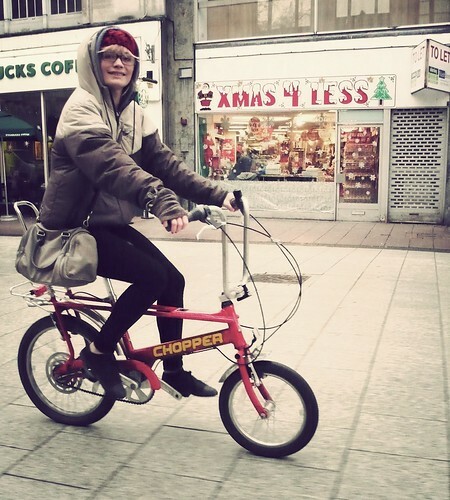 Then when our friends at Cardiff Cycle Chic posted this photo of the same bike, I realised that I had a tri-city theme goin' down. 'Cause my main man, Felix, has one, too here in Copenhagen. Er Mikael, you seem to have attracted an anonymous nutbag.